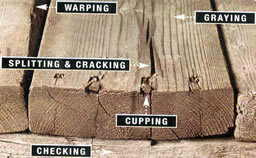 Owning and maintaining a wood deck can be a double-edged sword for some. 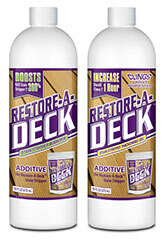 The beauty and detail of a cleaned and treated deck is unsurpassed. The upkeep, however can be cumbersome. 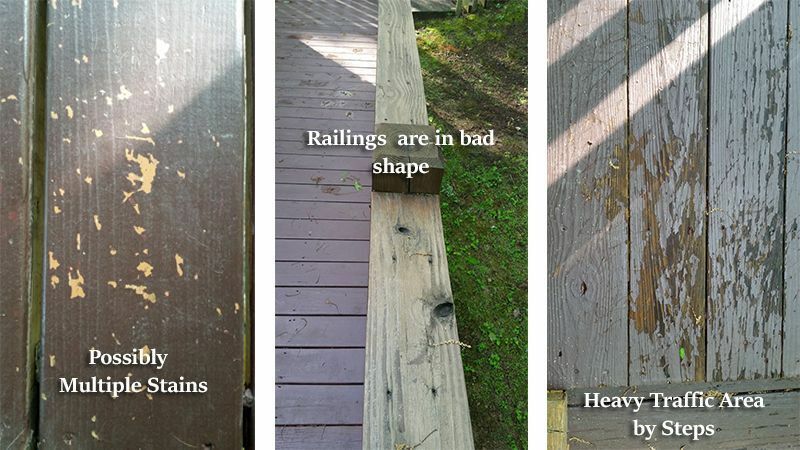 The photo on the right shows the effects ultraviolet rays and water can have on untreated wood. Your wooden deck or fence is a big investment. Properly cleaning it will extend its useful life and make it a source of pride for both you and your family. 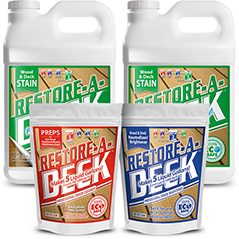 Whether the wood is pressure-treated, cedar, or ipe, sticking to a scheduled maintenance program will insure your deck stays in top shape. A high-quality cleaner and regular refinishing will protect your investment from the elements. 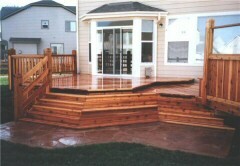 You can choose to hire a RAD certified deck maintenance company to keep your wood looking top notch. While this is the best arrangement, we understand the repeated expense can be a burden. 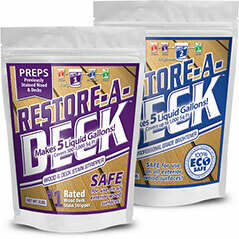 This is why we introduced Restore-A-Deck to the public. 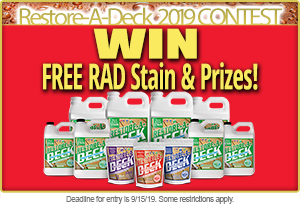 With the proper tools, a little know-how, and Restore-A-Deck you'll be happy to just sit by the window and take pride in knowing your deck is a labor of love. 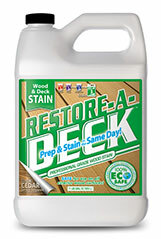 We had a deck/carport built two years ago ( insert family emergencies ), now there is mold/mildew now on the raw wood. I have WetnForget, have tried a sample spot, but now i wonder if i should continue or switch to your product only. I want to do the beams etc of the carport like the deck. Some will be difficult due to the height. Prep to remove the mildew with the RAD Cleaner/Brightener Kits. Stain with the RAD Wood Stain with finished. I need suggestions on which products are best. I had the deck stained two years ago by a professional painting company. Chipping began in less than a year. What is the best course of action? Do I need to strip the deck? Clean and brighten, then stain? Any assistance is appreciated. Thanks. Unfortunately, this cannot be stripped. You have solid stains and the only way to remove this is to sand it fully off the wood. 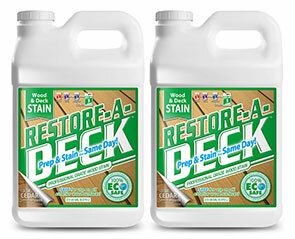 Can you apply 2 coats of the deck stain to your desk on the same day. Meaning can you step on the first coat to do the second coat? 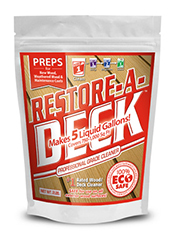 What brand of deck stain are you using? 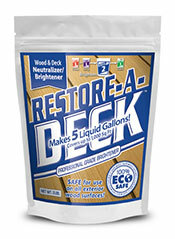 Restore a deck cedar color.